As spoiled society girls from New York City circa 1890, Dacia and Lou never desired to know more about their lineage, instead preferring to gossip about their mysterious Romanian relatives, the Florescus. But upon turning seventeen, the girls must return to their homeland to meet their family, find proper husbands, and-most terrifyingly-learn the secrets of The Claw, The Wing, and The Smoke. 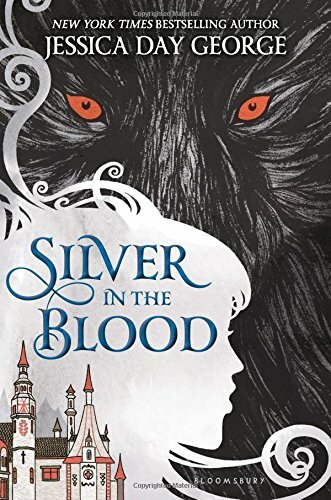 The Florescus, after all, are shape-shifters, bound by a centuries-old tradition to do the bidding of the royal Dracula family and it is time for Dacia and Lou to take their place among the ranks. But when the devilish heir, Mihai Dracula sets his sights on Dacia as part of his plan to secure power over all of Europe, the girls choose to fight against this cruel inheritance with all their might. Only the dashing Lord Johnny Hardcastle and the mysterious Theophilus Arkady- members of a secret society charged with ridding the world of monsters-can help Dacia and Lou, but breaking the shackles of their upbringing will require more courage than the girls ever imagined. 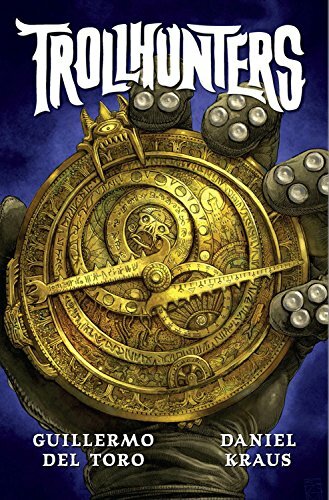 From the minds of Guillermo del Toro and Daniel Kraus comes a new illustrated novel about the fears that move in unseen places. 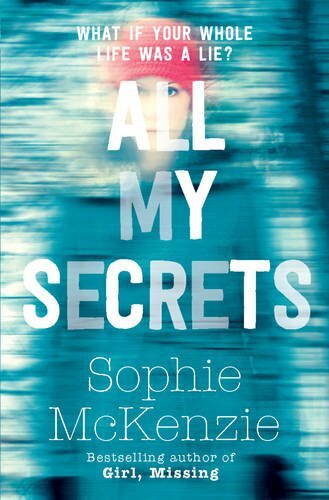 A brand new title from bestselling, award-winning author, Sophie McKenzie. The shocking reality behind a GBP10 million inheritance turns Evie Brown's world on its head. 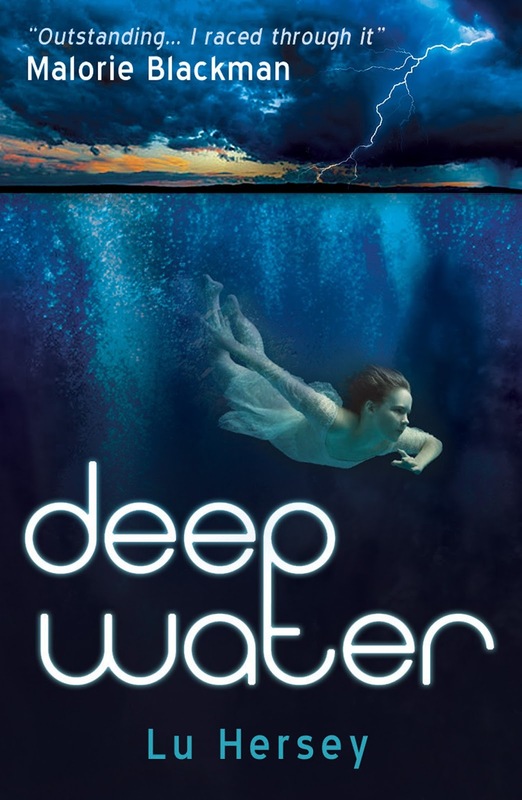 Unable to find out the truth from her parents, Evie ends up on the mysterious island of Lightsea, where her desire for answers leads her towards a series of revelations that threaten everything she holds dear ...including her life. 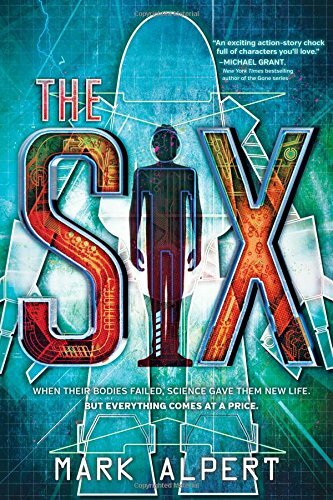 Jake Cutler - 13-year-old ruler of the secret planet Altus - is on the run from the Interstellar Navy. 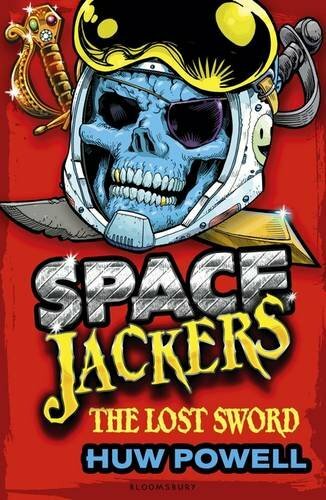 He and the crew of the pirate spaceship, the Dark Horse, are wanted over the disappearance of the ISS Colossus, the most powerful ship in the Navy's fleet. But that's not the only reason Jake's being hunted. If he's found, he'll be forced to reveal the location of Altus, home to a fortune in crystals. With that much wealth, the Interstellar Navy plans to start an intergalactic war bigger than any seen before. 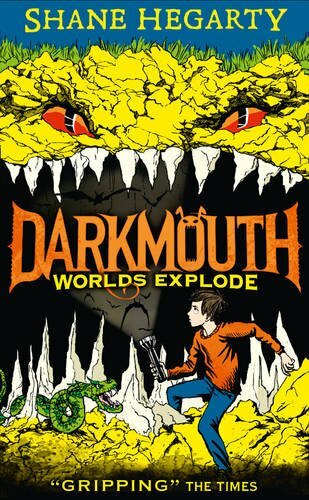 It's up to Jake to stop them, but how will a teenager convince the rulers of the universe that they're in terrible danger? When Minnie's gran comes to stay, all the way from Nigeria, Minnie KNOWS there will be trouble. And straight away Gran notices she's picked up the wrong suitcase at the airport. This one is full of boy's clothes, and she's not at all happy about it! But when their house is burgled and the only thing taken is the suitcase, Minnie realises there'll be much more trouble than she bargained for. Can the gang solve the crime or will the mystery of the little lost boy be forever unsolved? 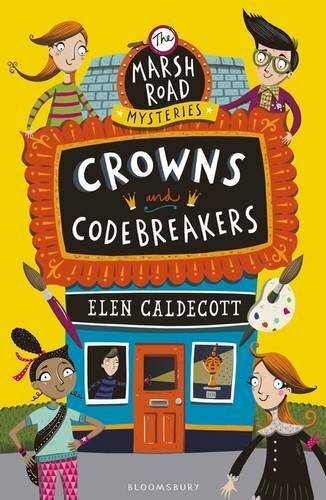 The second in a fantastic new series filled with friendship, adventure and mystery! 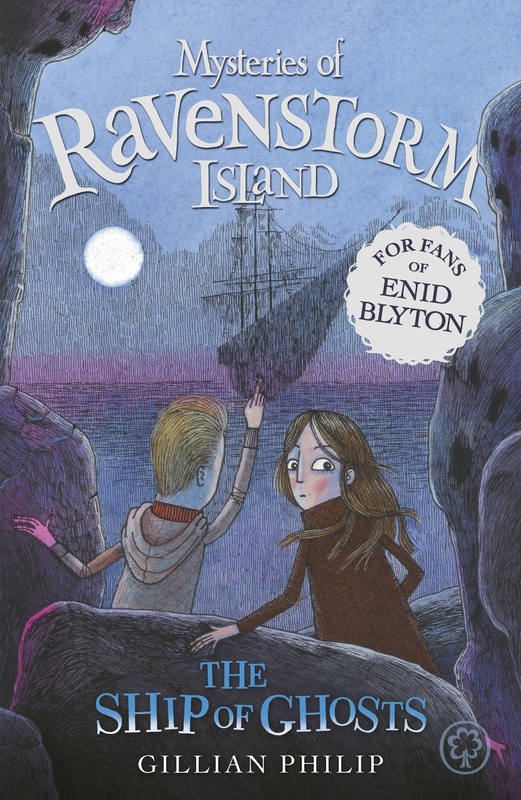 Molly and Arthur already know that Ravenstorm Island is alive with magical secrets. So they soon suspect that the appearance of a ghostly pirate ship might have something to do with the terrifying storms battering the island. What is the story behind the grudge between the pirates and Ravenstorm's gargoyle guardians? 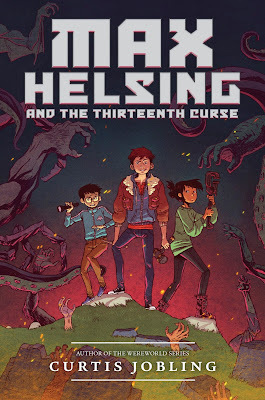 And can the children break an ancient curse in time to save the island? When her mum vanishes, Danni moves to a tiny Cornish fishing village with Dad - where the locals treat her like a monster. As the village's dark, disturbing past bubbles to the surface, Danni discovers that she's not who - or what - she thought she was. And the only way to save her family from a bitter curse is to embrace her incredible new gift. And for a chance at this new life, Adam will risk everything . I hope that this interview inspires you to read Alfie on his first outing, I think it should. 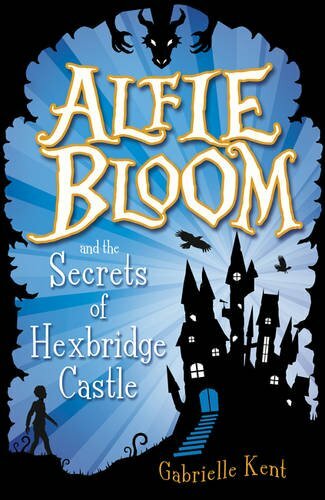 How would you describe your debut book Alfie Bloom and the Secrets of Hexbridge Castle to potential readers? The book falls into the category of magical realism, which is the area that has always interested me most as a reader. I love to imagine that magical happenings are possible in our world. 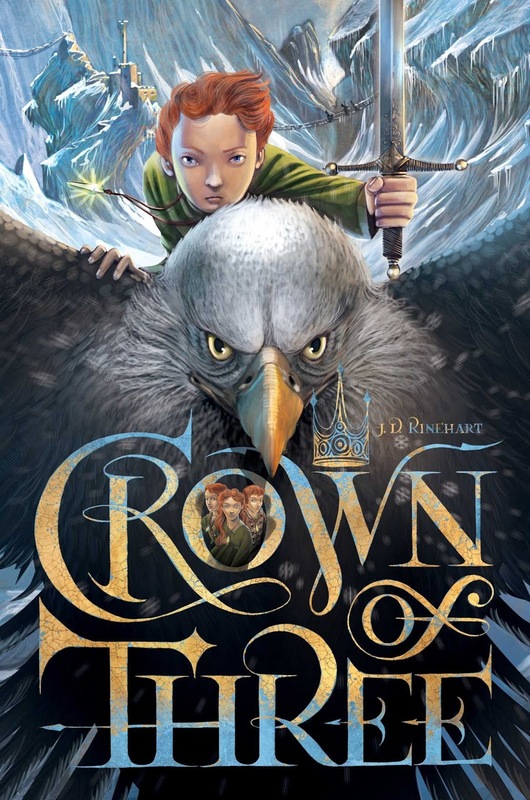 The story is about a young boy who inherits a castle full of wonders that has been sealed for centuries. 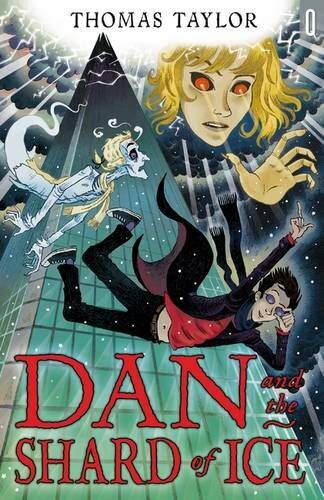 The age range is middle grade, but I like to think that it would appeal to anyone with a love of magic and mystery. Give us an insight into the main character. What does he do that is so special? 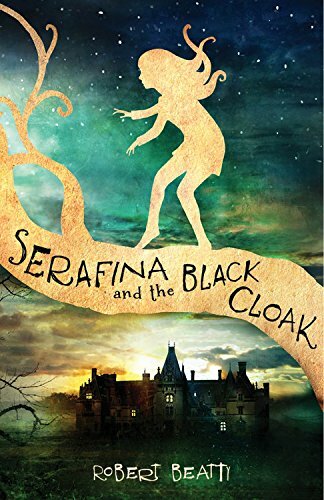 Alfie soon discovers that he was born in the very castle he inherits, but over six hundred years ago during a magical timeslip. There, Orin Hopcraft, the last of the great druids, hid an ancient magic inside him which others seek, but which should never be used. Alfie must learn to control the magic inside him, as well as protecting a dark secret hidden deep below the castle. 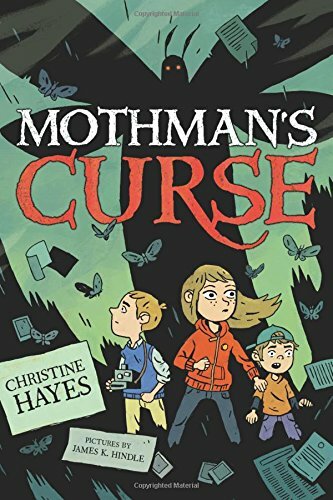 Orin Hopcraft has also left Alfie a talisman with a magical lens which allows him to unlock some of the secrets of Hexbridge Castle. Apart from that, he’s a perfectly ordinary boy. I love red hair, I have dyed mine copper since I was sixteen. There are no books I can think of with a redheaded boy as a main character and I wanted to share my love of this hair colour. As a game development lecturer, has this role influenced any part of the story? As a game developer I can’t help seeing my writing through those eyes. While I was writing I was imagining how the castle would work as game levels and what mysteries and puzzles players would solve. I even had ideas for potion mixing and hidden object games. Several students of mine worked on a lovely little game based on the book. Alfie falls asleep in his library and his talisman is stolen by books that have come to life. It will be up my site or Scholastic’s own soon, I’d love to know what people think. Through organising the Animex festival I have a good insight into the worlds of animation and visual effects. While I was writing I felt as though I had a film camera on my shoulder. I was imagining how certain scenes would be shot, and even how the VFX could be achieved. The big showdown and the scene on the barn roof are my favourite visual scenes. Too many to mention, but Enid Blyton and Roald Dahl always had a special place in my heart as a child, and I was surprised at how much of an influence they seemed to have on me as was writing. 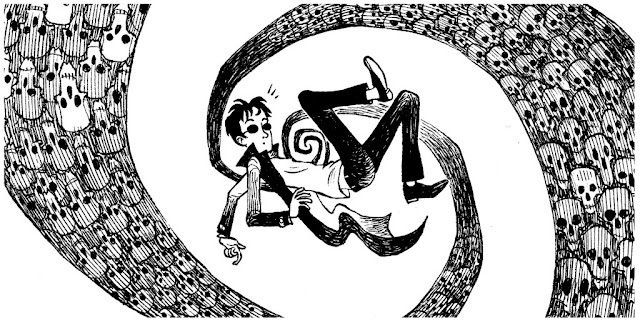 I adore the work of Neil Gaiman and particularly Terry Pratchett. I would love to be able to write like them, but I think that I am starting to evolve my own style and I’m excited to see how it develops. Did anything surprise you during the writing process? While writing can be a really hard slog at times, it’s interesting to see how your brain sometimes throws you solutions to problems that really surprise you. It’s like having a little helper on your shoulder. I was amazed at some of the clever little ideas it gave me, they really felt as though they were coming from a different person. The biggest surprise was when I decided to change Alfie’s best mate from a boy called Danny Chapman into a girl called Amy Siu. I pinched the name Siu from a friend and suddenly realised that she had gone from a Caucasian boy to a mixed race girl. And it changed hardly anything in the story! I’d recommend everyone try flipping the gender of their characters, it really challenges your preconceptions. I even left Madeleine’s little crush on Danny in there. It became a bit of a girl crush she has on Amy, she really wants to be just like her. And who wouldn’t? I like stories that don’t answer all of the questions they raise and leave you wondering about characters and hints long after you have read the book. There are a few mysteries in the Secrets of Hexbridge Castle that are not answered just yet, and I love hearing people’s theories on what they think will happen. I think folks will be surprised, particularly by Ashford’s big secret, which is answered in book two! I have also planted a few seeds that probably won’t be spotted just yet, but they will definitely grow. I have just finished book two in the Alfie Bloom series and am now at the planning stage for book three. When I thought Alfie might not make it to print, I started work on another project about a Mauritian girl who goes on a very strange journey. Her name is Ashwina Flynn and I hope to finish her story at some point. 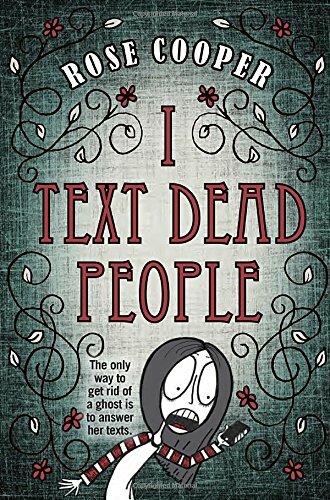 I also have an idea for a book for adults that is knocking on my skull, trying to get out. I really love the idea and will definitely let it out at some point, perhaps even as a short story. Can you pass on any tips regarding the writing process to other budding writers? Structure your book before you even start to write! When I started writing this book I had so many ideas and tried to cram everything in with only a rough idea of where the story was going. As a result it took me years to edit it into something publishable. I had some great scenes in there, but some of them just didn’t advance the plot in any way. With book two I sat down and typed up a rough summary of each chapter. Of course some of these things changed once I started writing, but it was so much easier to have the skeleton of my book sitting in front of me. I would also tell first time writers DO NOT EDIT AS YOU WRITE! It wastes so much time. Just trust your future self to pick up errors and issues and correct them later. With book two I left myself lots of little notes such as ‘make this bit less rubbish’ and ‘more drama in this scene’. My husband, Satish, did something very cool with an excel spreadsheet. He rated all of my chapters out of 10 for interest, intrigue and drama, then turned the figures into a graph. It was amazing to see as it highlighted the fact that the book flatlined for a little while after chapter three. Many agents and publishers had loved my writing, but had lost interest after three chapters. Now I knew why! After a couple of drastic cuts, the first publisher to see it snapped it up! brilliant writing. 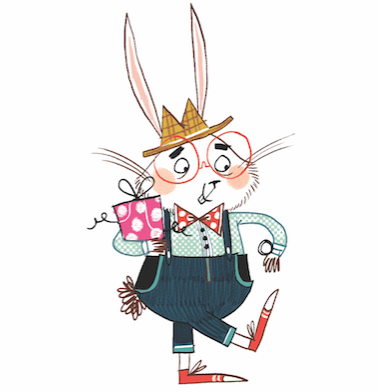 I wasn’t too sure about the suitability of the cover for Alfie Bloom when I first saw it, but the reaction from children has been amazing, they really seem to love it. It taught me to always trust my publisher’s marketing decisions! I know a lot of children who have started reading after discovering books based on their favourite games, such as Minecraft. 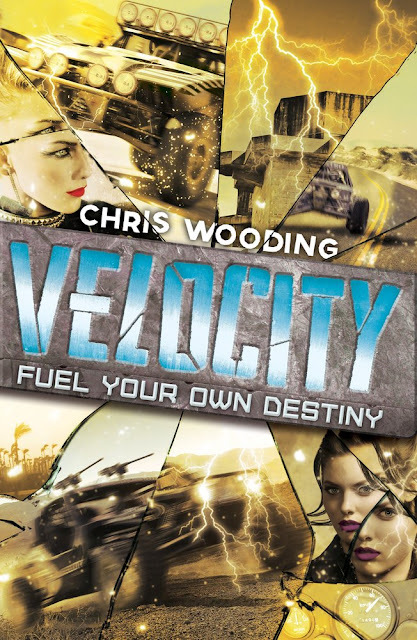 Storytelling in games is getting much better and now spins off into tie-in books and comics. These are a great way to encourage children to discover the joy of reading. I’ve seen children read these and then discover that they want to read books of different genres. Reading, making art, playing computer games, and visiting castles! I have so many castles left to visit. I’d love to explore some of the wonderful ones over in Germany. As writing is the job I do in my spare time, much of the rest of my life is taken up with the day job, teaching computer games development to university students, and organising Animex, an international festival of computer games and animation. 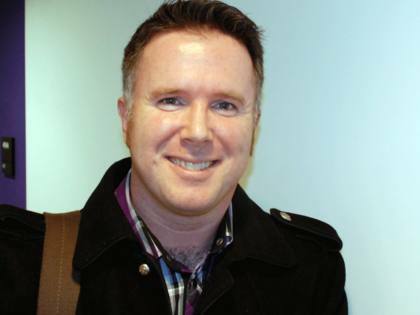 I love teaching, working in the games industry and writing, so I count myself very lucky that I get to do all three. Three New "Star Wars" Books - The Princess, The Scoundrel, and The Farm Boy. 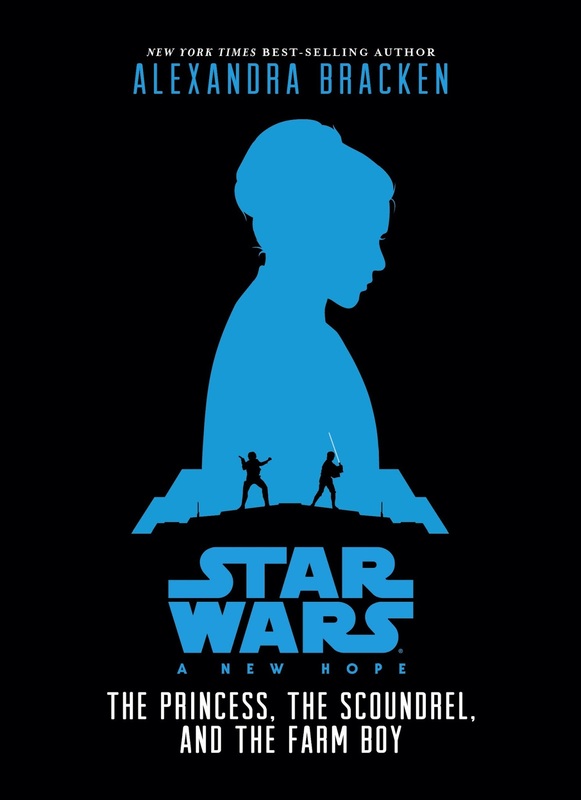 We have a trio of new books inspired by the original Star Wars trilogy is heading for publication by Disney Lucasfilm Press (22 Sept. 2015) The three new books will feature a familiar storyline, but from a brand new perspectives. 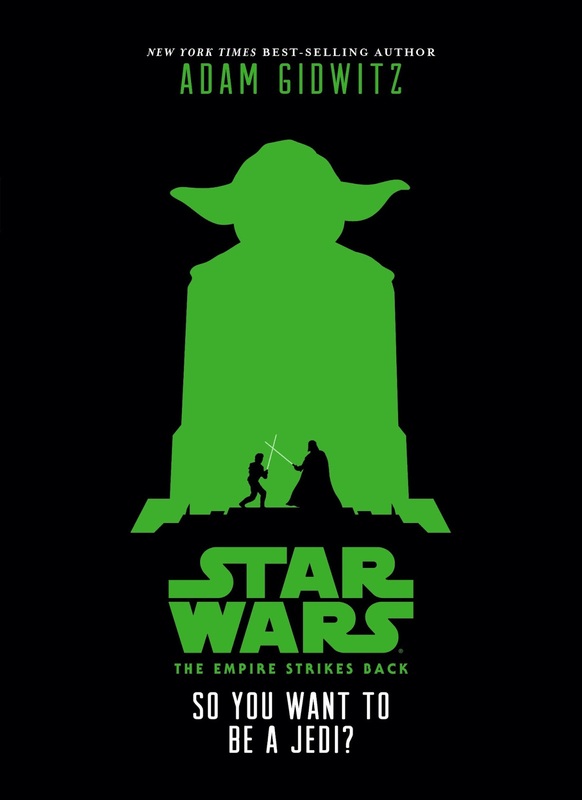 Each of the novels will tell the same story told in the original Star Wars movie trilogy. 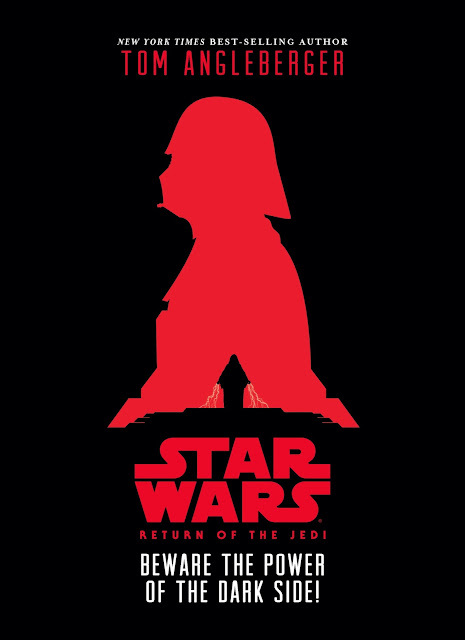 Fans will experience the original trilogy in an entirely different way, with Star Wars: A New Hope — The Princess, The Scoundrel, and The Farm Boy by Alexandra Bracken, Star Wars: The Empire Strikes Back — So You Want to Be a Jedi by Adam Gidwitz (A Tale Dark & Grimm series), and Star Wars: Return of the Jedi — Beware the Power of the Dark Side!by Tom Angleberger (the Origami Yoda series). Sound fantastic, what do you think? This book is from the author of Murder Most Unladylike. 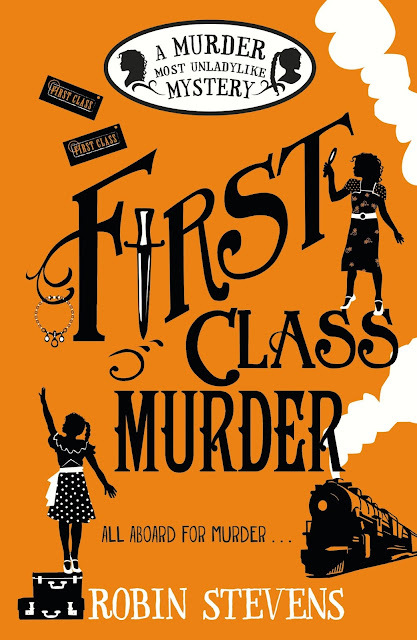 Daisy Wells and Hazel Wong are taking a holiday on the world-famous Orient Express. From the moment the girls step aboard, it's clear that each of their fellow first-class passengers has something to hide. Even more intriguing: rumour has it that there is a spy in their midst. Then, during dinner, there is a scream from inside one of the cabins. When the door is broken down, a passenger is found murdered, her stunning ruby necklace gone. But the killer is nowhere to be seen - as if they had vanished into thin air. Daisy and Hazel are faced with their first ever locked-room mystery - and with competition from several other sleuths, who are just as determined to crack the case. 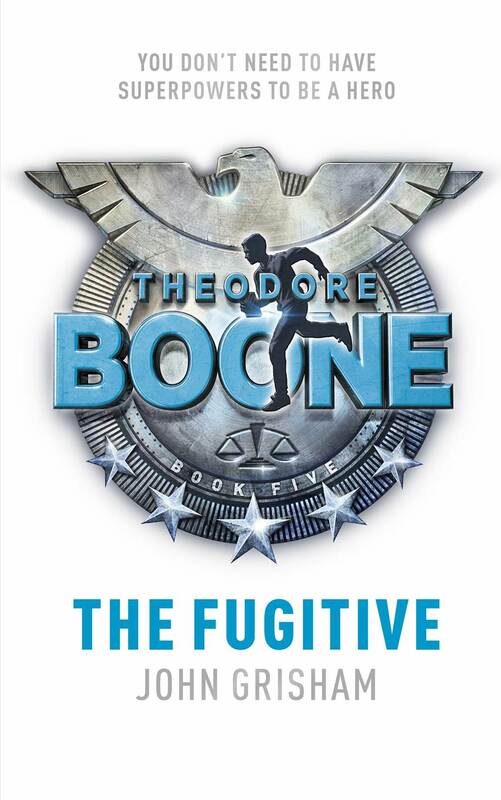 We are hurtling at full speed with book five in the Theodore Boone series; the latest book is called The Fugitive. The whole series has steadily turned into one of my personal favourites. 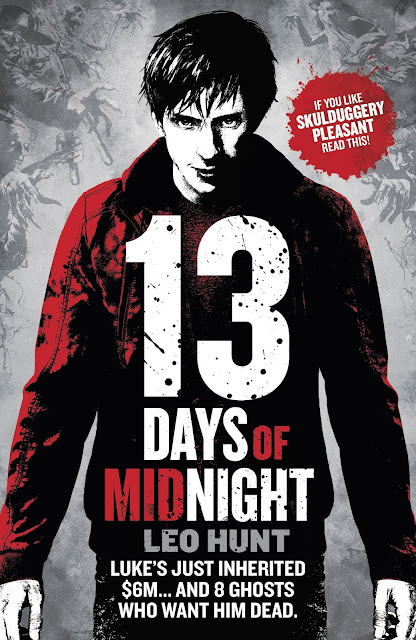 All of the books have been gripping, enjoyable and unputdownable. John Grisham, a former lawyer, initially turned his hand to writing adult legal thrillers. He has had great success with over 275 million books sold worldwide and nine novels adapted to become major films. Quite clearly he is a recognisable and well loved household name. More recently he has been inspired by his daughter Shea, a teacher in North Carolina, to write the Theodore Bone series for a younger audience - perhaps even his daughter's class! The words on the front cover state that "you don't need to have superpowers to be a hero" and, in this book, you really don't. Instead, all you need is down-to-earth Theodore Boone, who is a teenage lawyer and a courtroom hero. In this book, Theo embarks on a school trip to Washington to see the sights and attractions. No danger there then you would think, but don't be easily fooled! Theodore soon finds himself embarking on an adventure full of danger and intrigue after meeting the most wanted man in the history of his home town (Strattenberg). He soon becomes caught in the hunt for an accused murderer, alongside the talented and professional FBI. Pete Duffy (major criminal) finds himself back in court, which creates some nail biting tension, whilst Theo plays detective and lawyer with his Uncle Ike. 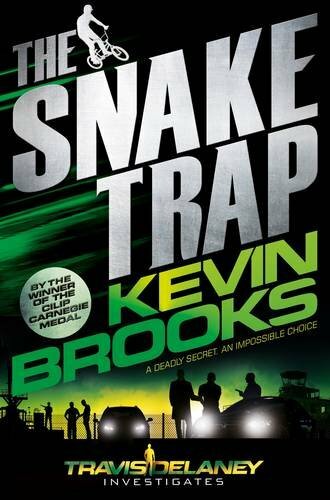 This part of the plot delivers an action adventure written in a classic, but simplistic style with just enough detail and dialogue to keep the reader hooked. What really lifts this book, and the series, is the insight that we receive into the legal system. The courtroom drama, which is played out dramatically and with intelligence, feels very realistic to me. It gives the narrative authenticity which is really down to the author's extensive knowledge. It's very interesting to read from this perspective and creates originality within this genre. The only potential drawback to this book is the length; it is very short on content and contains little backstory for any reader not familiar with the series. In my opinion, to really enjoy this book in its entirety, I would recommend reading the previous book "The Activist" or starting with the first book in the series. Nevertheless, this is a great book to get young people engaged in reading and to inspire them in becoming a lawyer. The Fugitive is a great topical book that can be discussed as a class or as a book group. As part of my book, which looks stunning with eye-catching blue endpapers, I had three discussion topics to consider, but these could easily be debated with students and friends. There is also an interrogation challenge to test your keen eye for detail and a quick Q&A session to keep you further entertained. 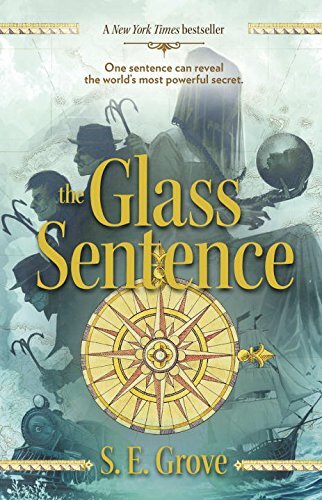 This is a great detective mystery that dances to the song of the legal system. It is an adventure that will lead you down the path of justice, or perhaps NOT! Will the criminal allies be out for revenge . . . . . . ? This is a series that I would have loved to have had the opportunity to read as a child. I will certainly be watching out for the next crazy case! 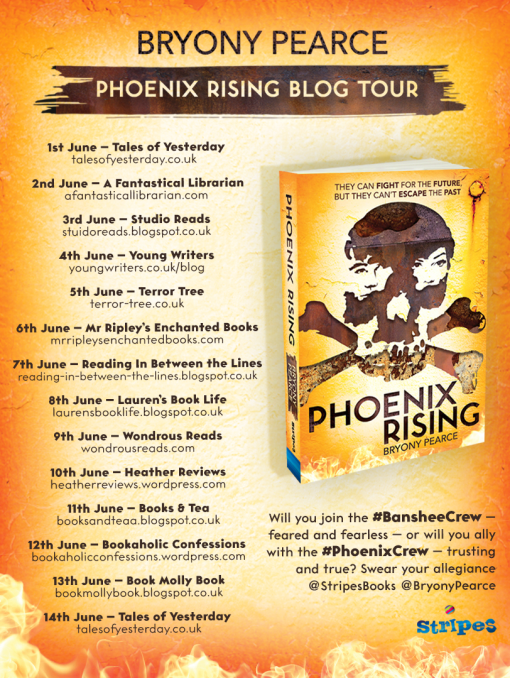 I am really pleased to be apart of the blog tour for Bryony Pearce’s new YA novel, Phoenix Rising, which was published on 1st June 2015, published by Stripes Publishing. This will be followed by the exciting sequel Phoenix Burning in 2016 which I can not wait to read! I swear my allegiance to the #BansheeCrew! We are feared and fearless! We are merciless and amoral! We believe in the ideals of strict hierarchy. We are mercenary and we will not show weakness! We will survive at all costs! 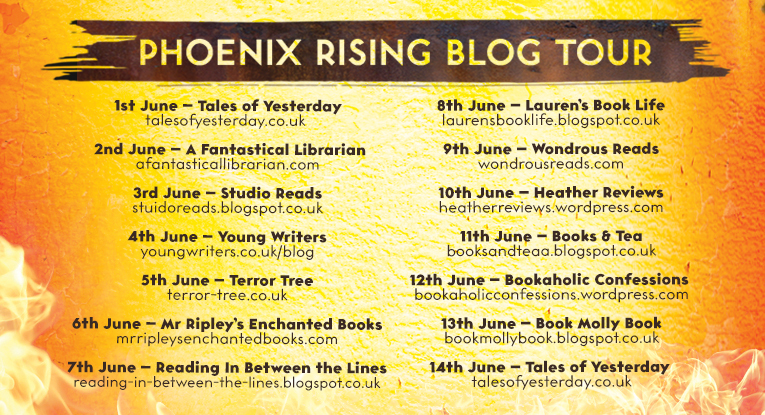 Today I have an awesome guest post by Bryony Pearce which is about Good and Evil in Phoenix Rising. One the themes I always explore in my writing is the capacity of man for evil. My books are always populated with monsters, but not the dripping, green, sharp-clawed kind; they contain people who have committed great evil and characters with the potential to commit even greater evil. I investigate the ways that good people could be turned to bad and try to make the reader understand the decisions they make. I like to think that my main characters sit firmly in the grey areas. Toby has a good moral grounding and an innate sense of right and wrong, but he is also a pirate, who robs the port-master and is always willing to fight. When I was researching my first book, I came across the Milgram experiment which was conducted in Yale after the war. This experiment has always fascinated me. One of the questions the scientists wanted to answer was whether or not ordinary Americans would have done the same as ordinary Germans were known to have done, during the war, or if the German personality was somehow intrinsically, more evil. During the Milgram experiment students had to give an actor (who they thought was another student) electric shocks. Almost two thirds kept going until they thought the other ‘student’ was unconscious or dead. They were not coerced or forced in any way; in fact the only prompting was from the researchers who, dressed in white lab coats, would periodically say “the research requires that you continue” when the students faltered. The answer, it seemed, was that given the same situation, Americans would have done just the same as the Germans. The experiment has proved of enduring appeal. Last year a game show was held in France. There, 80% of people (who thought they were contestants) continued to shock the other ‘contestant’ way beyond the point of humane behaviour – to the point that the victim stopped screaming and fell silent. It is both fascinating and terrifying to me, the idea that 80% of us, people who might lend you a tenner, or smile indulgently at your baby as they pass you in the street, would blindly follow authority to the extent of hurting or even killing another human being. Another experiment followed the Yale one - it was done with Chimpanzees. One was starved if he did not shock the other. The chimpanzee preferred to starve himself rather than injure a fellow. Are chimpanzees really more empathetic than people? What is it about man that enables him to treat his fellows with ‘inhumanity’? In the Phoenix Rising books I have characters who are set up as ‘baddies’ who the reader should come to understand and even love. I have characters set up as ‘goodies’ but who have made mistakes and have dark pasts. No one character in my book is the real ‘baddie’ every action can be seen from multiple points of view. I write according to the adage, ‘everyone is the hero of their own story’. Even the bad guys. 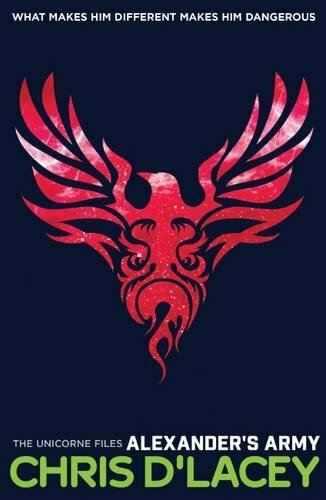 Phoenix Rising has been described as a swashbuckling adventure, and it is. I also hope that is makes the reader think, how would we behave if put in the same situations, a post apocalyptic world, where resources are at a premium and piracy is the only way to survive. 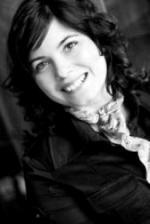 To find out more about Bryony or her work, please visit her website: www.bryonypearce.co.uk or follow her on Twitter @BryonyPearce. Family secrets combine with fantasy in this epic tale of battle, magic, strange creature's, power, and fate—a Game of Thrones for a younger audience. Toronia, a kingdom composed of three realms, is wracked with civil war. King Brutan rules with an iron fist. Cruelty and suffering abound. The kingdom’s only hope comes in the form of Brutan’s illegitimate triplets, prophesied to kill the king and rule together in peace. But the road to the throne is long and bloody. Separated at birth and scattered throughout the realms, the triplets face a desperate fight to secure their destiny. Will they survive long enough to rule? Annabel Craven hopes she’ll fit in—maybe even be popular—at the Academy. She’s worried she’ll stay friendless and phoneless (it’s true). 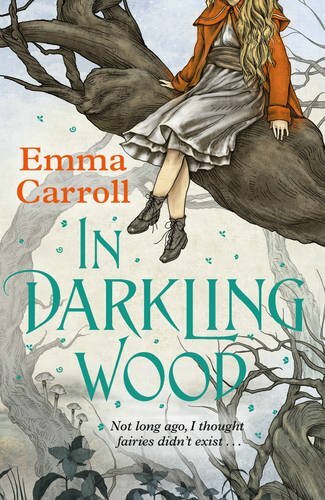 But when she finds a mysterious phone in the woods near the cemetery, one of her problems is solved . . . and another one is just beginning. Someone won’t stop texting her. And that someone seems . . . dead. How is Annabel supposed to make friends when her phone keeps blowing up with messages from the afterlife? And what will happen if she doesn't text back? Diversity in children's books is a great thing, and much needed, as it often takes the reader out of their comfort zone. I don't always enjoy books like this one. Recently, I've not been able to finish a couple of books based on similar themes. Once I'd read the first chapter, I thought that this book was destined to end in the same way. 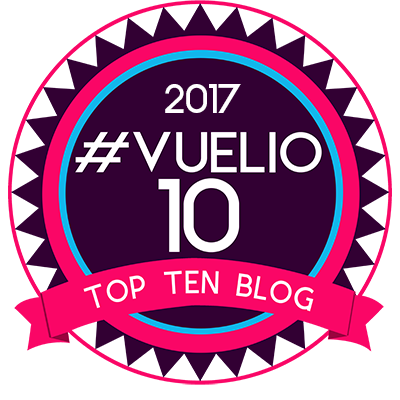 However, I'm very glad that I persevered with this story as it really challenged me, both in my learning and understanding of a different culture. The plot is set in Timbuktu, a city in the West African nation, which is situated north of the River Niger on the southern edge of the Sahara Desert. The book really depicts the remoteness and the challenging landscape particularly well, in my opinion. The setting is linked to the historical events that happened in 2012; the capture of the city by the Malian military known as the Tuareg rebels. Historically, this book chimes with a defiant beat and gives the story a feeling of authenticity. 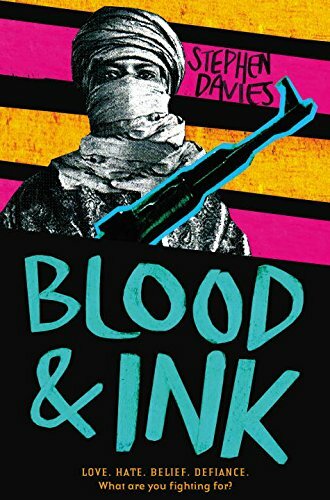 Some of this is down to the author's understanding of events and his personal time spent living amongst the Fulani herders in Burkina Faso. The more that you read, the more that you are aware of the focus of the story on the troubled world of extremism and violence on West African Muslims. This makes you face up to the real issue of what is happening in the world - a regime of law that tears apart a peaceful world including a ban on television, football, radios and even music, everything that we take for granted and may hold dear to our lives. This is a very topical read, but with a light-hearted centre that pushes some of the seriousness and the darkness to one side to create a balance. The two main characters are brought to life; they are full of life and feeling. Kadijia is the music-loving daughter of the guardian of the sacred manuscripts. Ali is a former shepherd boy, but is now a trained warrior for Allah. Part of the story has a romantic summer step to it and lifts the book to magical heights. The harsh regime sets the two main characters apart as Kadijia's defiance draws Ali to her. It's a modern day romance that transcends religious beliefs. 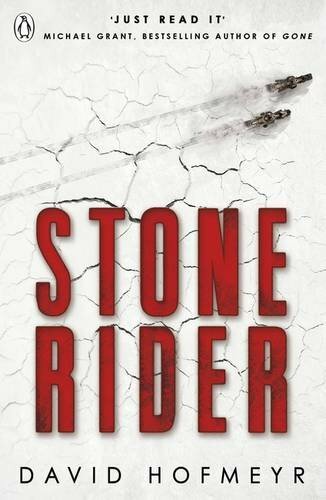 This book has everything to offer the reader; action-packed adventure, historical events and thrilling real-life danger pumped with emotions and feelings. A great infusion of religious culture will leave you thinking, even after the last page has been turned. It is fantastically plotted with many twists and turns that will keep the reader on their toes. I can see this book being a great read for GCSE students as well as readers 12 years and older. 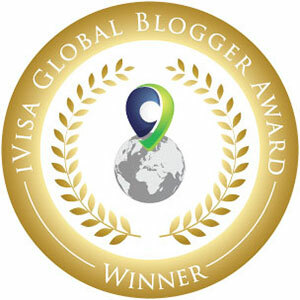 It is really enjoyable, very interesting and full of educational content - recommended 100%.